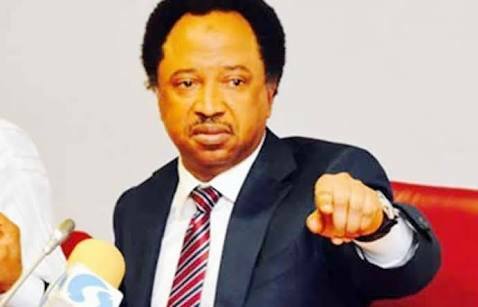 Details have emerged of how the Kaduna Central Senatorial District ticket of the All Progressives Congress (APC) was taken from Senator Shehu Sani overnight and sold for $2million to Uba Sani, Political Adviser to Nasir el-Rufai, Governor of Kaduna State. A source privy to the deal spoke exclusively to SaharaReporters in Abuja on Friday. According to the source, the Managing Director of the Nigeria Port Authority (NPA), Hadiza Bala Usman, who is "el-Rufai's girl" singlehandedly gave the money to Farouk Adamu. He said Adamu collected the cash in Abuja on behalf of Adams Oshiomhole, National Chairman of the All Progressives Congress (APC). He revealed that the sum of N50million was first offered to the Deputy Publicity Secretary of the party, Yekini Nabena, by Uba Sani, which he turned down. The source also noted that Nabena had issued several press statements that Shehu Sani remained the only candidate cleared for the zone, and Nabena had insisted he would only do what the National Working Committee (NWC) asked him to do, as he had no power to upturn their decision. Hadiza, however, threatened to do everything possible to stop Shehu Sani from getting the automatic ticket, whether the NWC liked it or not. SaharaReporters gathered that after the failure of a series of attempts by the proxies to get Nabena's cooperation, Hadiza decided to channel it through Farouk, who collected the cash. The source also narrated how the Governor El-Rufai slept in the National Chairman's office, and threatened to pitch tent with Atiku Abubakar, presidential candidate of the PDP, if Shehu Sani's name was submitted to INEC as the APC candidate for Kaduna Central Senatorial District. Farouk, who headed a presidential committee on the APC primaries, collected the money without the knowledge of other members. Members of the committee include Minister of Education, Adamu Adamu; Minister of Aviation, Hadi Sirika and Minister of Justice, Abubakar Malami. "He ignored the report of the committee and took charge of making phone calls to senators to inform them who made the list and who did not. Why is it that those who got the tickets have not come out to defend Oshiomhole against the myriad of allegations of bribery levelled against him?" the source queried.